AL-GHALBI INTERNATIONAL Engineering & Contracting LLC received The international achievement award for quality and business excellence on 3rd September 2018 in Rome, Italy. Company also accredited total quality customer satisfaction, from the Otherways’ International Award-Acknowledgment program based on a business-oriented association which focuses on the microeconomic levels of small and medium-sized companies deliberated to promote economic relations and establishes new commercial and professional contacts. Association of Otherways Management & Consultancy, International organization based in France. 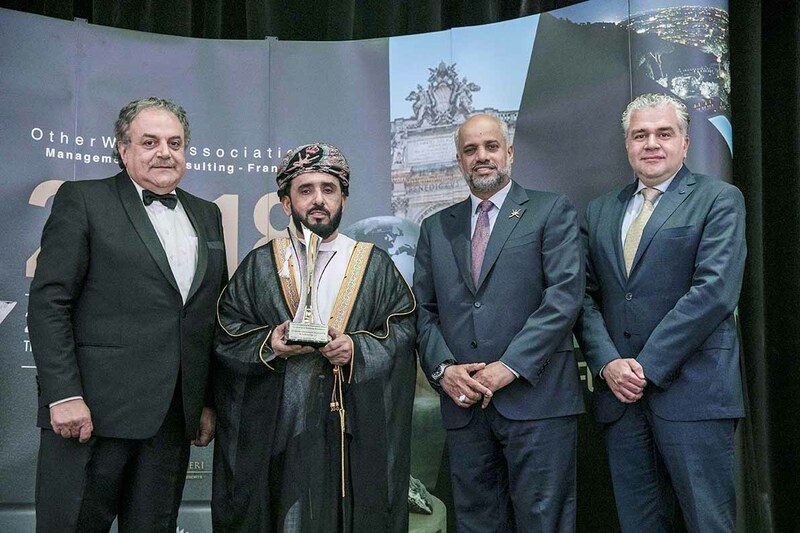 Sheik Ali Suleym Al Junaibi AL-GHALBI, Chairman, received the international award from Mr. Charbel S Tabet, CEO of the “Otherways Organization” in a noble function held at Rome Cavalieri, Waldorf Astoria Hotels & Resorts, Rome, Italy. It is an ideal occasion in an international multi-sector forum that allows the “Award – Symbol” to act as an icon bordering on high-quality standards and acting as a sustainable “trust factor”; thus leading to a solid modernized scope of recognition worldwide. Dr. Waseem Atiah, Group Commercial Manager for AL-GHALBI Group said: “It was a stunning achievement; congratulations to Al-Ghalbi international board and staff for achieving complete customers satisfaction and creating another successful story for one of the best Omani Companies in the Oil & Gas sector”.